[toc]White hair occurs of low melanin and a heap of hydrogen peroxide around the hair follicles that appear as white patches over the surface of the skin. Mainly, premature white hairs are found in persons aged below 35, which is an early disorder that occurs due to hereditary too. More exposure to sunlight, heat and an unclean scalp will cause an unhealthy white hair. These white hairs are commonly found in old aged people, which have to be cured by taking proper care to prevent white hair problems. White hair patients can consume more fruits and vegetables and also eat two or three bananas that are rich in iodine every day, to keep your hair thick and healthy. Some of the healthy food like the beef, chicken and egg protect the hair and give a smooth, silky look to the hair. 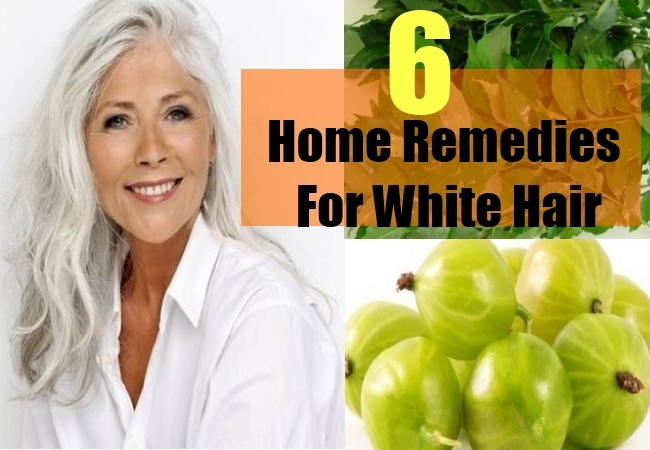 Indian Gooseberries that are well known as “Amla” is a best hair tonic, which is rich in high content of Vitamin C. These fruits are very good antioxidants that give good strength by preventing the d-coloration and increase the melanin level in the hair. 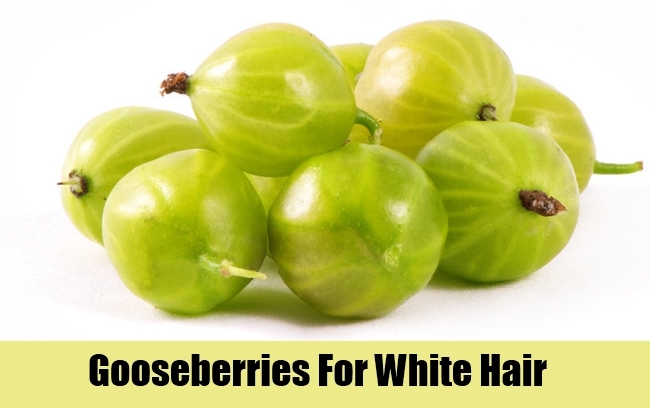 Indian gooseberries dried and powdered, can be applied with coconut oil on the hair to reduce the problem of white hair; which is thus, found to be the best natural cure for the treatment of white hair. Take some ten to fifteen Indian gooseberries, extract the juice in a small bowl; then, you can add some almond oil with a teaspoon of lime juice to these gooseberries; later, you can extract and stir well for 5 minutes. Leave the mixture for about an hour, and apply this mixture on the hair and wash with pure water. 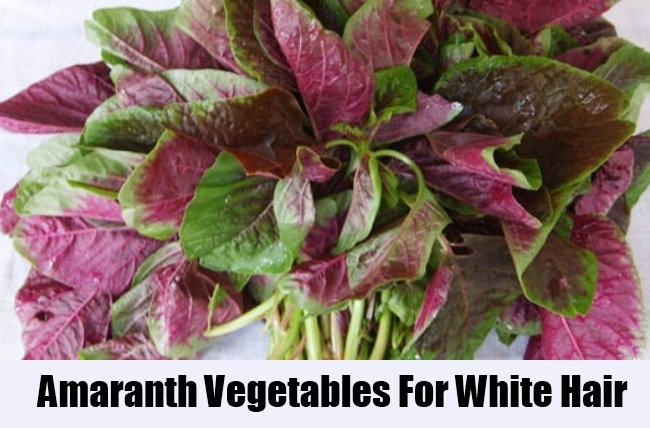 Amaranth vegetables are good healthy green leafy vegetables that are rich in minerals like calcium, potassium and contain more vitamins of A and B. These green leafy vegetables are easily digestible, which can be consumed along with other food items that helps prevent any kind of infections in the body. Hence, take a little amount of pure water in a bowl, add some amaranth leaves, and allow it to boil for 10 to 15 minutes to get the leaf extract in a liquid form. Then, apply the extract on your scalp and massage well with your fingers, which becomes the best cure for white hair. 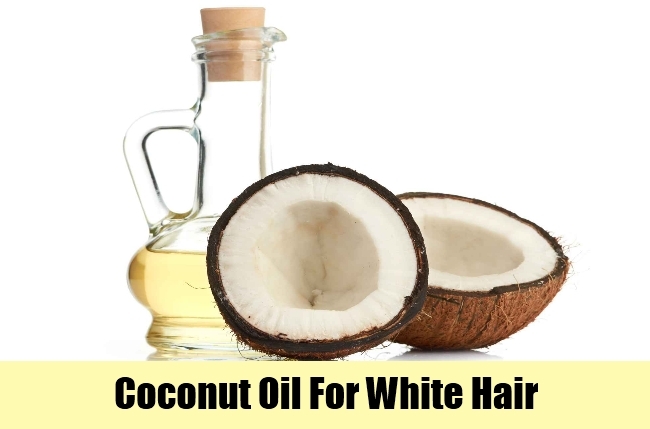 Coconut oil contains high amount of fatty acids which are good antioxidants and prevent the premature white hair. Coconut oil is used for massaging the hair every day before taking a bath which gives black texture and keeps them healthy. Hence, squeeze a fresh yellow-colored lemon in a bowl; add the juice extract, to a teaspoon of coconut oil; then, mix well and apply on the hair with good massaging on the scalp; Now, leave it for 15 minutes and wash your hair or take a bath to see the difference in a week. 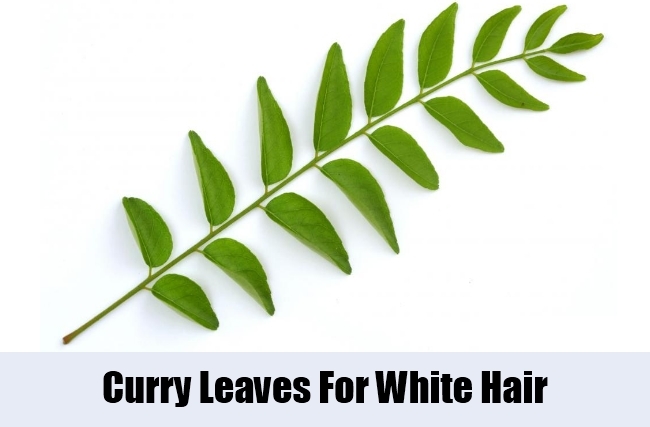 Curry leaves contain Vitamin B content that prevents the hair loss and gives good strength to hair follicles by inhibiting the reduction of pigmentation. Therefore, take a bunch of fresh curry leaves in a bowl with 2 tablespoons of coconut oil; then, boil for 10 to 15 minutes and leave to cool for some time, after an hour or two take the cooled mixture and apply on the scalp and massage for at least 2 or 3 minutes a day. Repeat this procedure 2 or 3 times in a day. By washing your hair with good shampoos along with good conditioners will help improve the texture and growth of the hair. Therefore, you can massage your hair gently with your fingers around the scalp which gives more relief, as well as removes your stress. So, wash your hair weekly to keep your hair thick and healthy; but, do not use these shampoos and conditioners daily, as your hair might turn pale and harsh using these shampoos and conditioners. 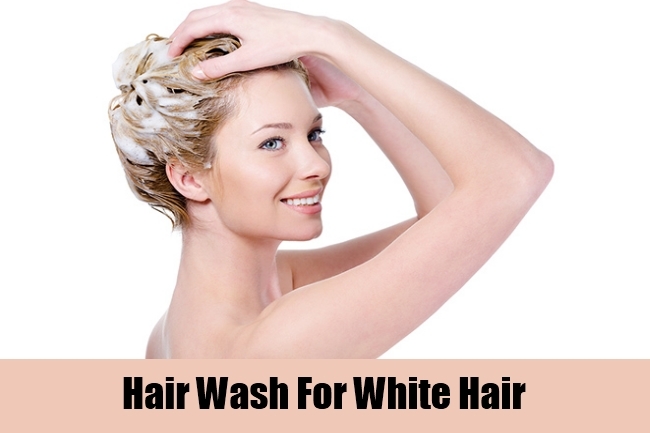 Also, it is recommended to use mild soaps and shampoos which are excellent treatment for white hairs. 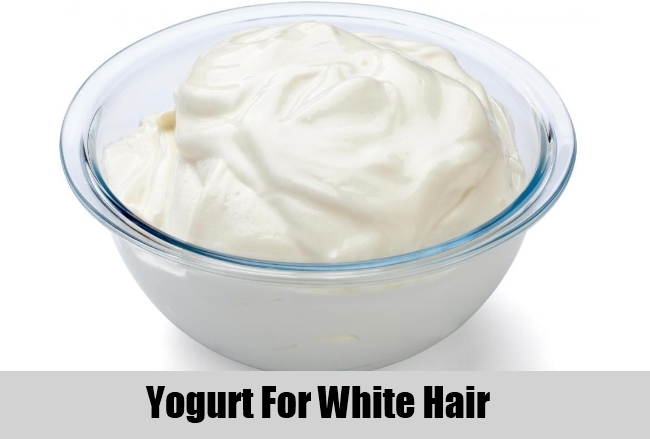 Yogurt is fermented milk which contains minerals like calcium and potassium that prevents the growth of the white hair. Hence, you can take half a cup of yogurt, pour a teaspoon of yeast to the yogurt and mix well till the yeast dissolves in the yogurt. You can drink this soluble mixture every day before or after having your meals, which can be a better cure for the white hair problems.